Most times you might not have winbox installed in your system or mobile, but for mikrotik you need not to break a bone about configuration using winbox if your not on system because you got all the features covered even when using web browser to do your configurations. O yeah! so here we are going to look at how to configure a mkrotik router using a web browser, well for me no need to panic because this will eradicate the fear that you didn’t go out of the office with a system which has winbox already install inside. As a network admin, clients looks up to you and hope that their poor experience will be resolved as soon as you arrive the scene but what a terrific story saying hey! I didn’t come out with a system that contains my working application. Before we begin I will like you to know that a WebFig gives you the ability to configure your MikroTik router using the web browser right from your computer, tablet or Smartphone. The good thing is that your options of access your router using even your smart phone and also the interface is the same as your will see on winbox. So in other for you’re to access your router through a web browser. Open your browsesr and enter the IP address to your router. 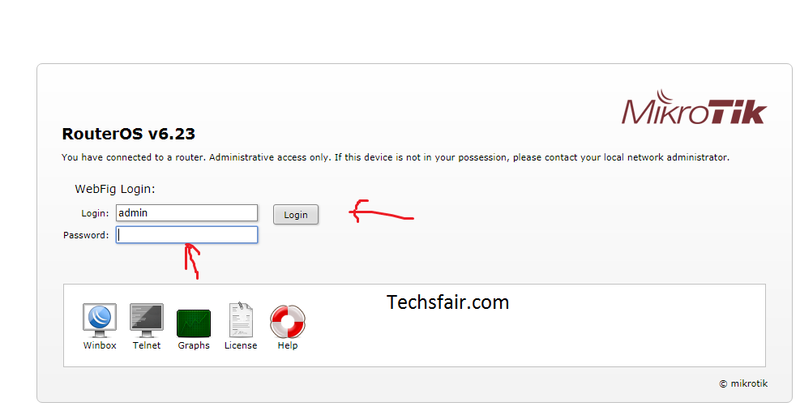 You will see a login page by default user name admin requiring you to enter the password to the router. Enter your password and then click on login. 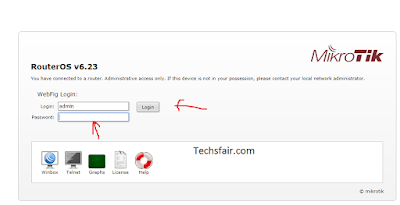 Once you click on log you will access your router via the browser. You can change our configuration and do other things just like you’re on winbox, just that in winbox the menu will pop to sub menu but here it drops down, you can also do your quick set configuration here. So this just an easy way to access your router when you’re not in front of your computer and you need to check on the network.